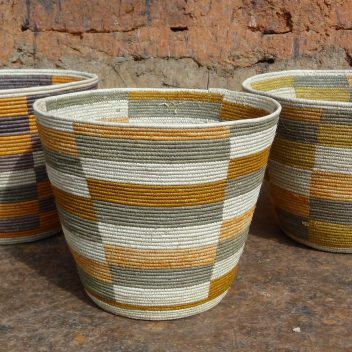 Kwetu Africa is run by the Ugandan artist and designer Sanaa Gateja. 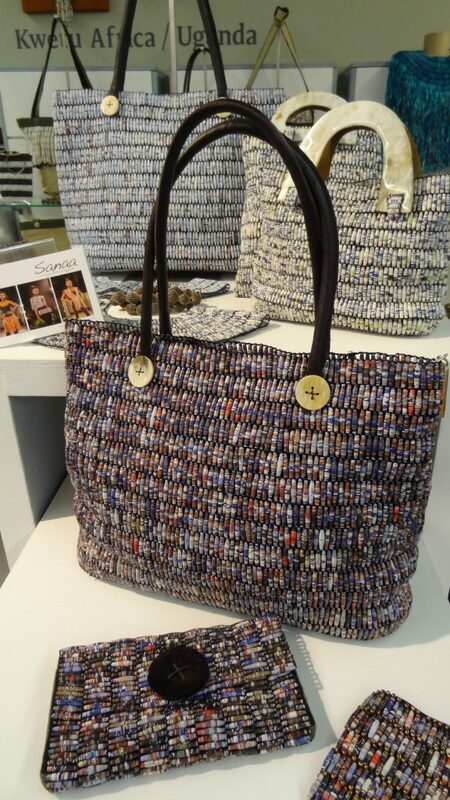 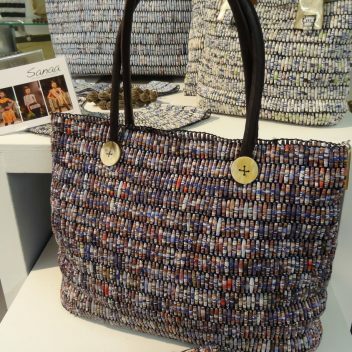 He up-cycles old books, magazines and posters into sophisticated wearable art pieces and bags, a style he refers to as “Art Wear”. 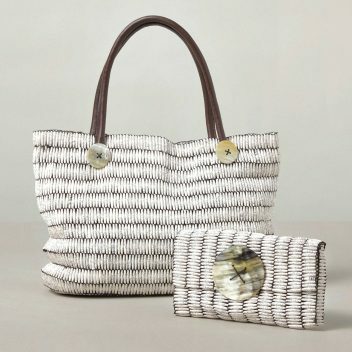 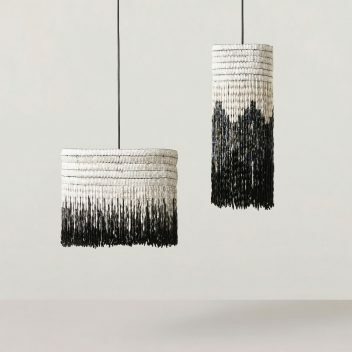 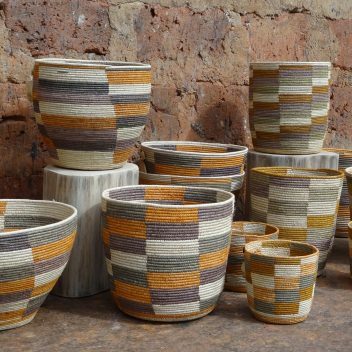 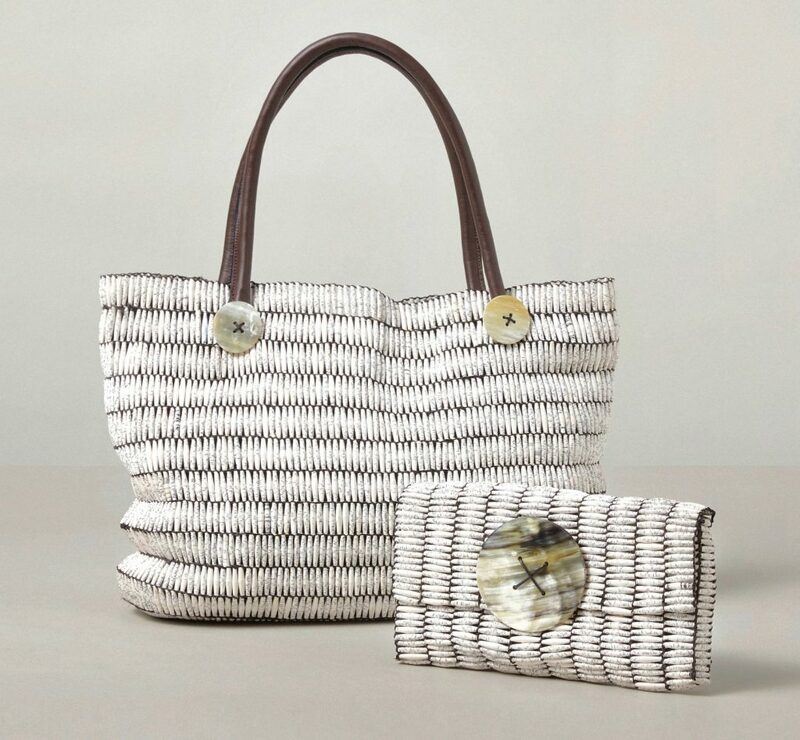 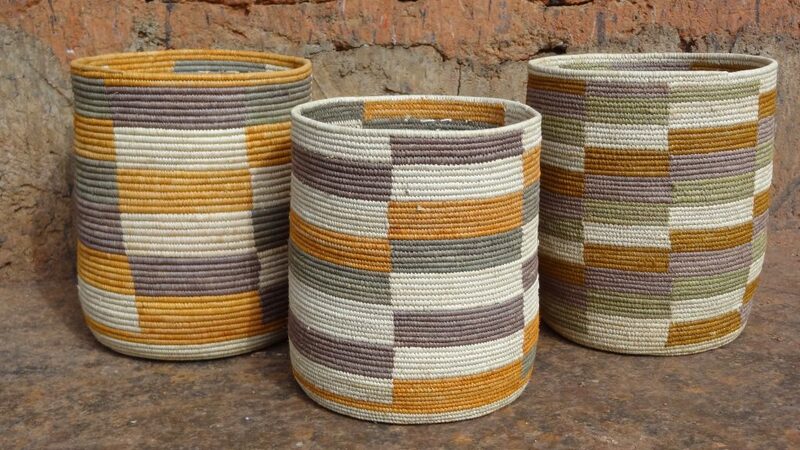 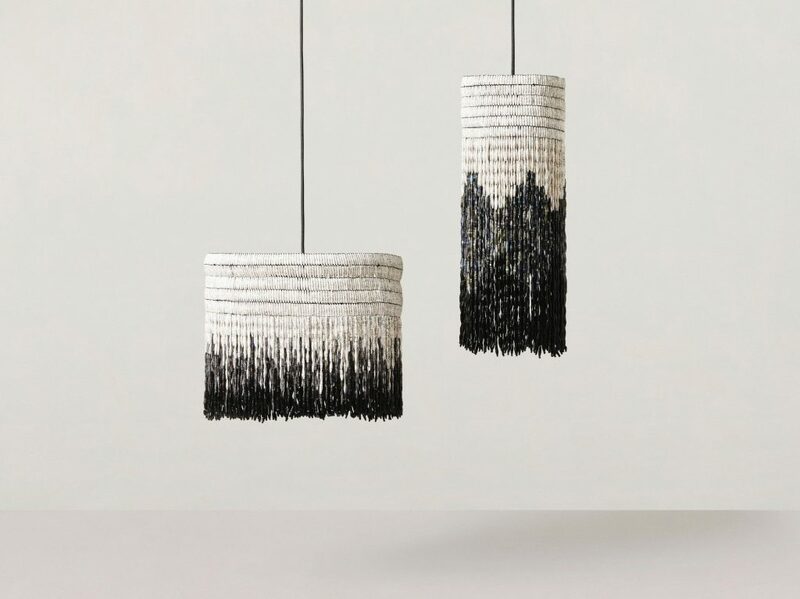 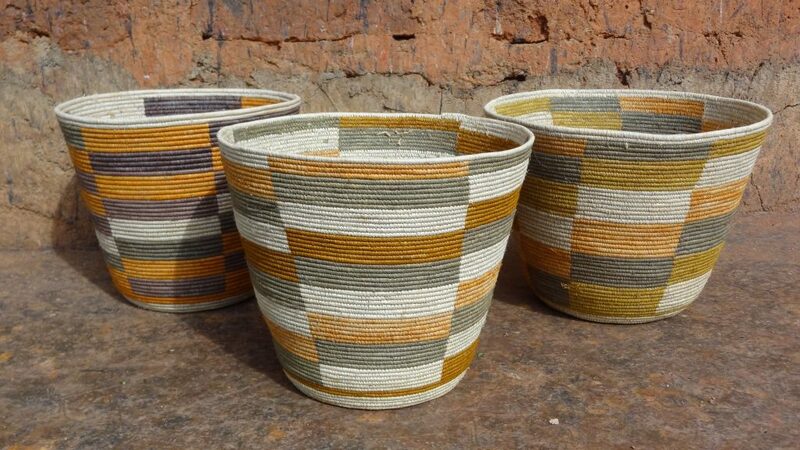 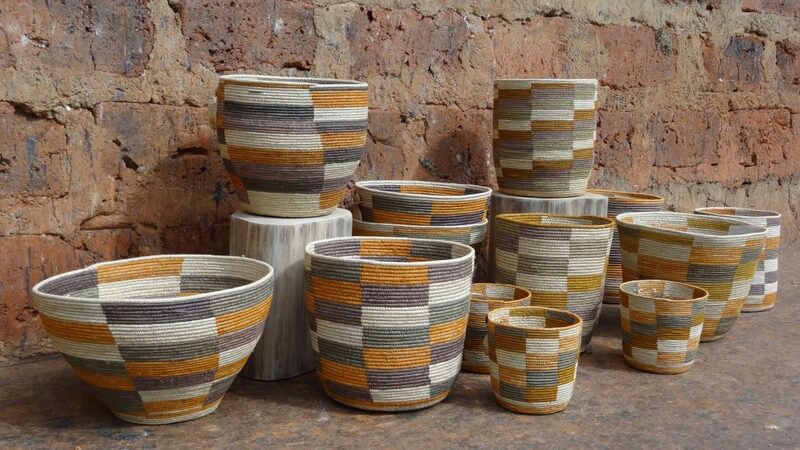 He also works with basket weavers in the gorilla conservation forests to produce intricately crafted baskets with patterns inspired by farming terraces on the hillsides. 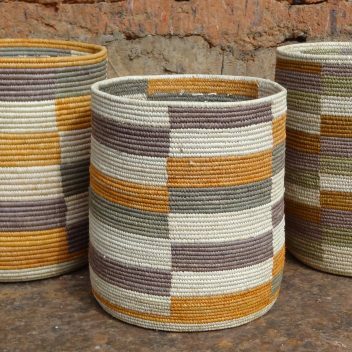 Kwetu creates employment for numerous women in Uganda.